CORE Resonance Training is made up of several components, the most important of which is you! You are in charge; it is you who learns how to let go of resistance and transition to a higher state of being, expressing and performing. A CORE Resonance Training Session begins by updating your previous Session with your most recent discoveries and insights. The Daily Sessions Log is your ticket, your flight recorder and your map! CORE Resonance Training™ offers twelve Protocols including 001) Sharp, 002) Focused, 003) Relaxed, 004) Bright, 005) Calm, 006) Patient, 007) Centered, 008) In Sync, 009) Balanced, 010) Deep, 011) Resonant and 012) Connected designed to bring balance to the brain. Because there is a great deal of work to do at the surface level, there is no hurry to get through the different CRT Protocols. To that end, the first half dozen CRT Protocols are offered at differing levels of sophistication. In this manner there is almost an infinite amount of variation for even a single CRT Protocol. And, once one discovers building a DVD library of interesting topics, the potential for absorbing information/ learning during the Sessions brings an added dimension. 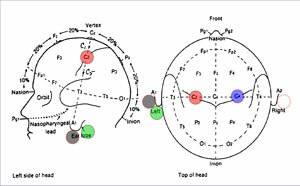 Additionally, CORE Resonance Training™ offers the LongView™ Protocol designed to address the prefrontal lobes of the brain. The LongView™ allows us to refine the part of the brain that looks forward and filters incoming and outgoing information. Quality of choice, discernment and decision-making is found in this part of the brain. This protocol is quiet specialized and we add nutrients to enhance the use of this protocol. Please reference an important article that illustrates the importance of the prefrontal lobes. Balancing and tuning the ancient part of the brain (12 CRT Protocols) is foundational. Enhancing the prefrontals by engendering new capillary activity (angiogenesis), oxygen rich blood and nutrients with the LongView™ Protocol offers a powerful additional component. 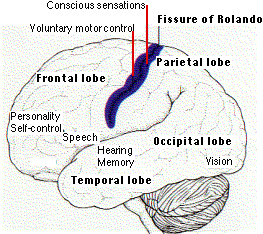 Please reference an important article that illustrates the importance of the prefrontal lobes. CORE Resonance Training™ includes sophisticated electrodes, amplifiers, headphones, laptop computer, software and Protocols along with a great deal of support to achieve your goals. CORE Resonance Training™ uses one of the smallest amplifiers available with the additional advantage of being wireless which greatly simplifies placement and usage. Protocols are generally one or two channel and thus use three to five electrodes as referenced by The Montage Advisor™ instruction sets. An entire instruction set for each protocol includes everything you need to know to complete a session on your own. Each protocol requires that electrodes be placed on the scalp in a certain manner. This is called the Montage. The Montage Advisor™ includes a diagram and identifies the location for each electrode including color coding. The Montage Advisor™ includes an extensive check-list of instructions necessary to do a successful Session on yourself or loved ones. Note: It is important to note that electrodes only receive signals from the brain and work in one direction only, similar to microphone pickup sensors. CORE Resonance Training™ never imparts anything to the brain – ever. In fact, CORE Resonance Training™ does not program or dictate results in any manner. Instead, CORE Resonance allows the brain and CORE Resonance Training™ to work together. The brain finds and dictates its own results. Each Protocol uses an amplifier which is designed to collect the information from the brain, amplify it and wirelessly send it to the computer for processing. Delving into the mechanism that is the brain (and mind) delivers sudden ah-ha’s, insights and releases that make indelible impressions on what you thought you knew, the story you tell, and the story that goes ’round n’ round in your head. Introspection is a very important component of CORE Resonance Training™ and most any issue will come to the light of day and disperse with not much more tension than a soap bubble popping, otherwise known as an “ah-ha!” at a pretty significant level. These realizations change your story, change your need for resistance and survival as the premier defensive posture, and lighten up your mind’s belief about what’s what. Introspection is that final and eventful journey that all conscious-seeking individuals take and continue. This inward journey, “this final frontier,” coached by CORE Resonance, Innate Intelligence and the brain’s ability to interact with itself, is a very powerful experience indeed. Finally we take our rightful place as a species and truly become useful to ourselves and each other. Our lives now move forward in partnership with the Cosmos, and our capacity to unfold and contribute becomes exponential. CORE Resonance Training™ is inherently safe – in part because we do not dictate results, program or imprint information to the brain. The Protocols/Sessions are designed to work initially at a surface level–to accustom the brain to fundamental experiences that are simple and effective and guided by the brain itself. As the mind comes to see these Protocols/exercises are not threats (because they are natural rather than forced), the mind allows the Protocols to range deeper into the brain. All the while, how you feel, and what you feel, combined with documenting your experiences and the results you produce in your daily experience, is your scorecard and your guide. And while it is not recommended or necessary to push beyond your comfort, you cannot hurt yourself with the exercises. Ultimately, each exercise is moderated by your experience and how you feel. Because we never dictate end results or implant frequencies, you, your brain and Innate Intelligence are fully in charge. Generally, results are far larger than you can imagine because you simply do not have a perspective of the possibilities. If you have questions about CORE Resonance Training™, please contact us.